Monetizing your website should be easy, it's about installing some adverts maybe google Adsense right? That trick might have worked well in 2005 when competition for adverts was lower. But to monetize a site in 2016 requires a great deal more effort and creativity. But for those who knows how to monetize a blog, gets the reward in rich. Pinch of Yum, are making upwards of $32,000 a month. Matthew Woodward’s SEO website regularly makes $30,000+. And the guys behind Buffer are raking in nearly $1 million every single month! These are just the websites that publish their income. As you can see, sites of all niches can - and do - make money. If you’re just getting started and want to monetize your blog, focus on creating a big - and more importantly - regular stream of traffic. Website monetization can only be done with with visitors. Lots of them coming in every day. If you had a shop on the high-street and no-one came in, you wouldn’t make money, right? It’s the same online. Huge traffic is the one thing that every high-earning site has in common. 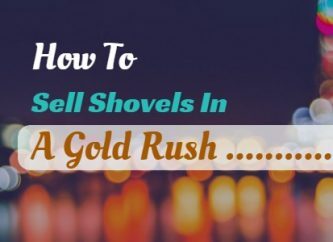 So, start by implementing various traffic-driving techniques at your website. As for how many visitors? There is no magic number. Every blog and industry are different. If you’re selling a niche product to a highly targeted audience, you could potentially make money from 5,000-10,000 visitors a month. If you rely on advertising alone, you’ll probably need at least 100,000. You also want to make sure this traffic is ‘targeted’ and primed to spend money! For example, a weight-loss website would be a good candidate for monetization. The visitors have a specific need, and you can sell it to them. A broad and general news website, however, would be much more difficult. It’s not specific, and visitors don’t have a strong intention to buy. So, that’s enough background. Let’s get stuck into the methods. We’ll start with the most common - and well-known - method: advertising. But does it still work? The answer is yes. Going back to Pinch of Yum, they make most of their money through advertising ($23,000 a month). However, you’ll notice that they generate this income from 2.5 million unique visitors. Using their numbers, you’d make roughly $2,300 from 250,000 monthly unique. Or less than $1,000 from 100,000 visitors. So yes, advertising will make you money. But, you need big traffic. And it’s not a revenue source you should rely on alone. To create a rounded income, advertising should make up just one portion of your revenue. How to get started? Well, Google AdSense is your first step. Here’s a detailed guide from Julie Stoian of Fabulous Blogger to setting it up and you’ll soon see adverts on your website. Google AdSense is perfect for beginners and those with low-medium traffic. If you’re generating more than 100,000 unique views a month, you’ll probably get more value from a private ad network. They’ll send more specific and relevant adverts to your site, and you might get a bigger cut. Here’s a good list of private ad networks to approach. You link to a product or service online. If your visitor follows that link and buys something, you get a cut of the sale. Simple. This is another proven formula that works. One of the easiest and quickest ways to get started is through Amazon. 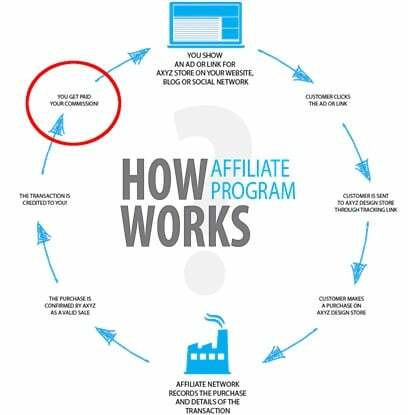 Amazon run the biggest affiliate program in the world. All you have to do is put a link to an Amazon product on your website. A great way to use this scheme is by posting product reviews on your blog, and linking to the product on Amazon so visitors can buy. Top ten lists also work well here. Bluehost - the web hosting service - has a very popular affiliate scheme for those blogging in the tech world. Using tutorials and how-tos, you can direct your readers to Bluehost, and you get a little cash every time they purchase the web hosting. Same goes to NinjaOutreach, they provide a great opportunity to earn recurring income. You will be surprised how far this can go. Here’s a great case study on how one blogger makes a regular income from affiliate sales in the photography niche. Here’s another that used this technique to generate $4,000 a month in just six months. If you get it right, this is potentially the most lucrative method of monetization. We’ve already discussed that affiliate sales work. But why sell someone else’s products when you could sell your own? Obviously, this takes a little more work, but the rewards are much bigger. You keep all the profit, you create a brand identity, and build a loyal community. There are two options here:-1) Sell a physical product, like clothing or sports equipment. 2) Sell a digital product, like an app, software, or an eBook. Remember Buffer (making $1 million a month?) They make their money selling their own social media software. Use a tiered pricing structure. Make sure there’s an affordable entry-level product for newbies and an expensive premium product to make the money! If you like the sound of selling physical products, check out this in-depth guide to starting an online store. 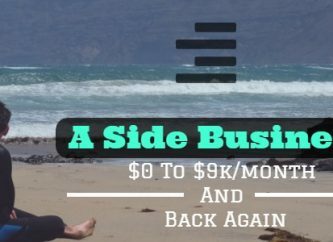 As for digital products, take a look at this case study of a couple who are making $600,000 every year. If you can’t think of a specific product, sell yourself! Are you a good graphic designer? Use your website to showcase your expertise and experience. Write blogs that establish your authority and grow your reach. When you’ve proven yourself, you can sell those skills. This is the staple business model for many marketing websites. Take Bryan Harris for example. He built a strong community with his marketing blog. But much of his income comes from creating and selling marketing videos to businesses. As for e-courses and coaching, Linda Formichelli - a successful freelance writer - now makes her money by hosting writing e-courses. You can do the same with coding, app design, or just-about-anything-else! This monetization method is undoubtedly the future for media sites. The New York Times, Buzzfeed, and the Guardian all use this technique. In fact, according to some analysts, Buzzfeed makes 75% of its revenue this way. What is it? In a nutshell, a brand pays you to create content that promotes it. As a small website, you’re probably not going to form a partnership with giant brands. But it’s very common for startups and smaller businesses to pay for a sponsored post. For example, ‘mom-blogs’ can make a fortune reviewing and promoting baby products. Again, the figure you can charge is generally based on your traffic and your audience. Tech Insider has some great graphs on the unstoppable growth of this monetization method. Here’s a useful post on how to find sponsored post opportunities for your website. And here’s another to give you an idea of how much to charge. Ah, the old ‘leave ‘em wanting more’ trick. These methods are all about enticing your visitors with a great service or fantastic content. Then, when they’re hooked, charge them for a premium service. Netflix does this with their free monthly trial. Spotify do it with a premium membership that gets rid of adverts and restrictions. If you’ve got a software or service-based site, this can work really well. Just make sure your visitors get a full taste of it first to convince them. As for media sites, the ‘gated content’ is a more common technique. It’s used notably by the Financial Times, where a subscription is required if you want to read more than a couple of articles each day. For a small blog, this would probably hurt you more than help you. However, you could use a variation. For example, offer a series of free tutorials or how-tos on your site. Then charge a small price to access more detailed guides. If you like the sound of this method, Copyblogger has some great advice on setting up a membership/subscription site. If you choose the content gate technique, do read this guide on how it might affect your SEO. There is an entire industry devoted to buying and selling websites. Some entrepreneurs start a site with the single goal of selling it in a year’s time. Of course, to make this a valid option, the site has to be valuable. It has to be making money already. Or, at the very least, have a big audience with potential for profit. The best place to sell a website is ‘Flippa’ - a sort of eBay for websites. Though you can, of course, negotiate a private sale elsewhere. As for valuing it, most businesses are roughly valued at 3-6 times their profit, but you need to be more vigilant when you buy or sell website on Flippa because you may lose money if you do it wrong. Like this idea of selling a website for money? Yaro Starak has done this plenty of times with his sites; here’s how. And check out ProBlogger's advice to avoid the most common mistakes. Turns out it is not so difficult to answer the question "how to monetize a blog" after all. Making money from your website is very much possible. People are raking in big profits all over the web, but you’ve got to be smart, creative and disciplined about it. If you are into it then there are tons of other ways to make money online. I’d love to hear about your experiences. 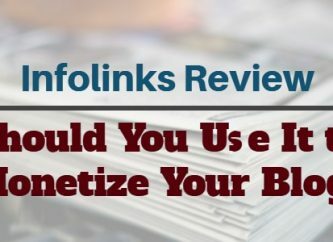 Are you using any of these monetization techniques? Daren Low is the founder of Bitcatcha.com and co-developer of the free Server Speed Test tool. With a decade of experience in website development and internet marketing to his name, Daren is considered a premier authority on all things related to building and managing an online presence.